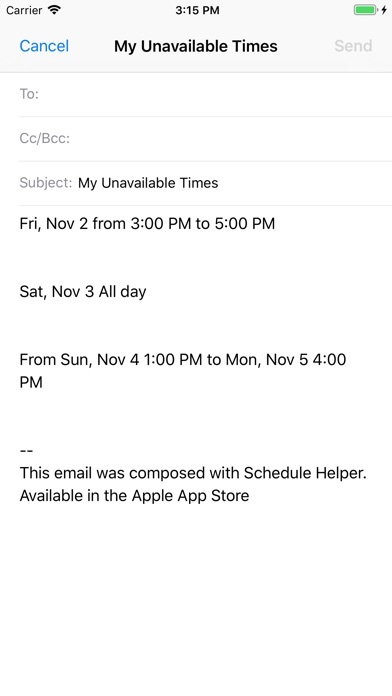 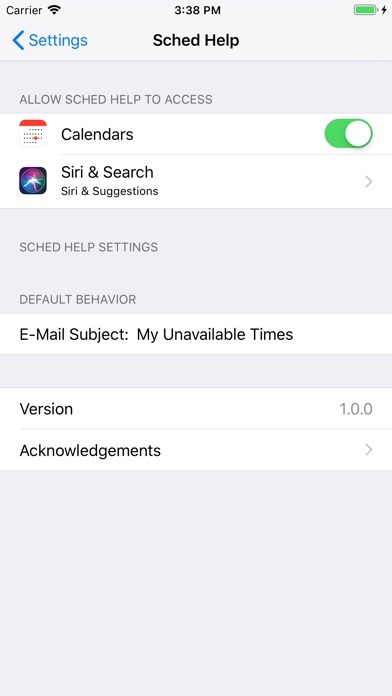 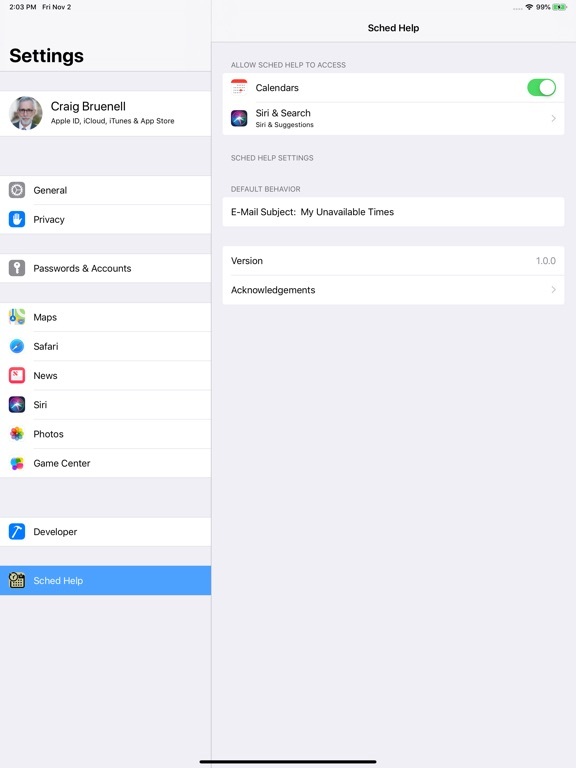 If you need to schedule something with others, SCHEDULE HELPER is an easy way to let them know the times that you're unavailable. 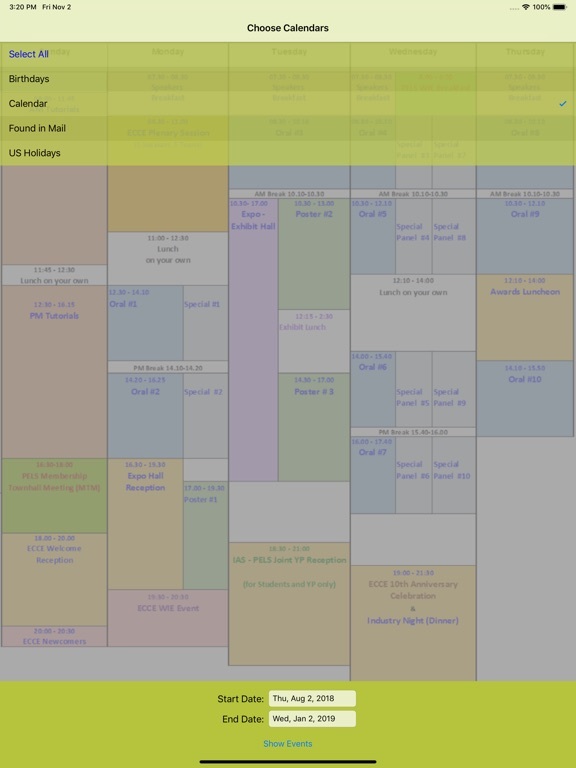 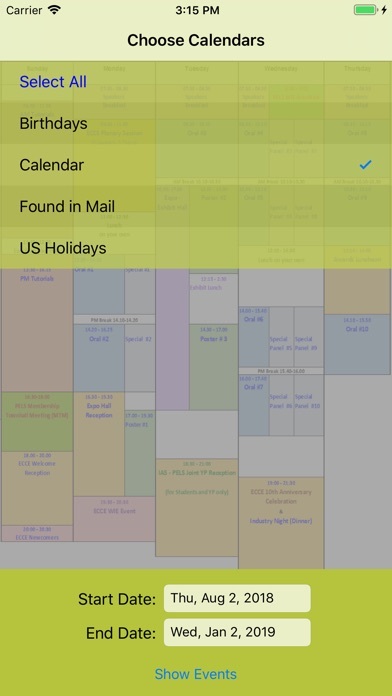 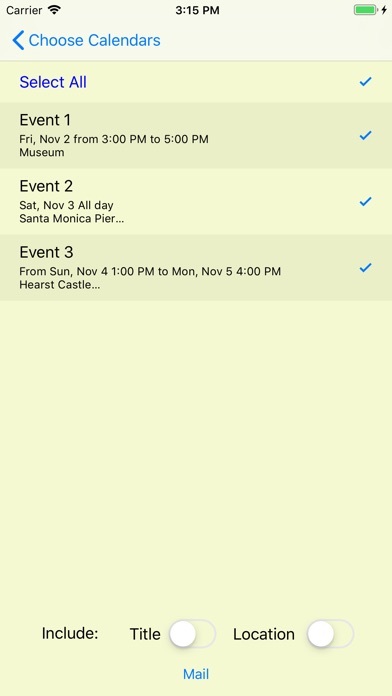 The app -- with permission from you -- will access your calendars and create an email or text for you to send. 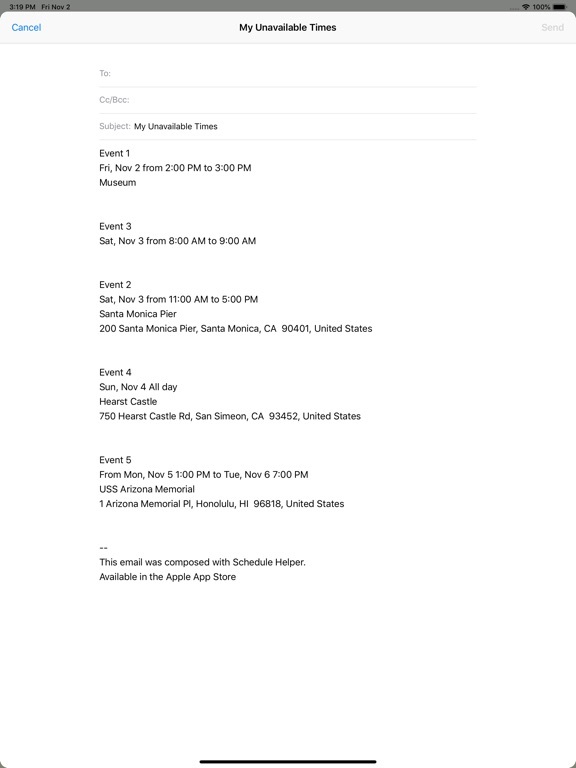 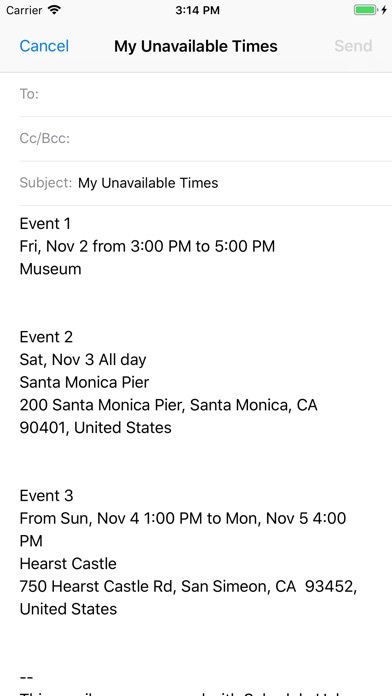 The email or text will include the times of your calendar events, and you can optionally include the event titles and even the locations to help the receiver estimate the travel times. 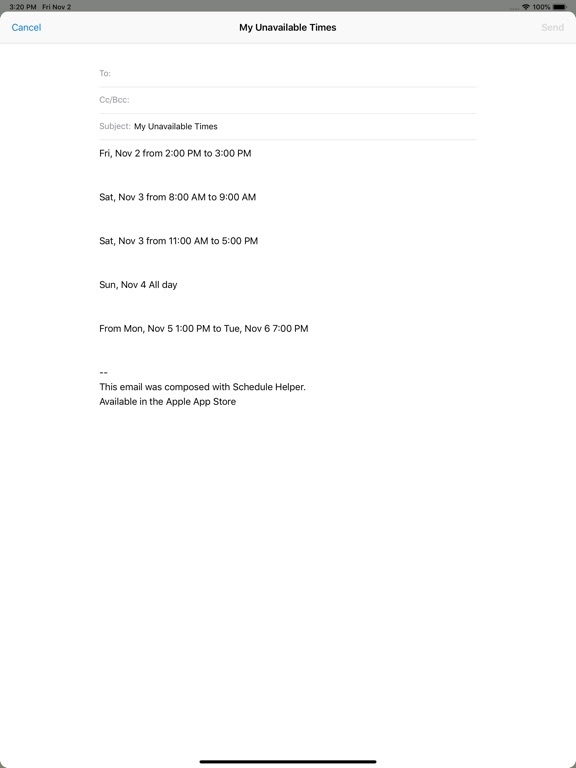 You can now send your schedule by text.